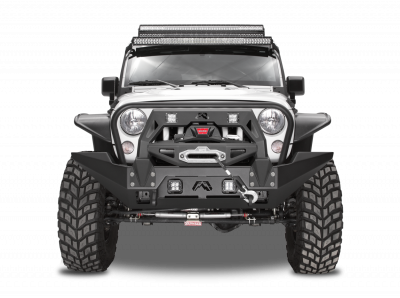 If you are not getting stuck, you're not trying hard enough. 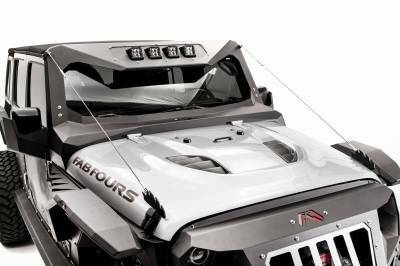 Fab Fours Inc. is dedicated to pushing the boundaries of innovation and design in every product we produce. 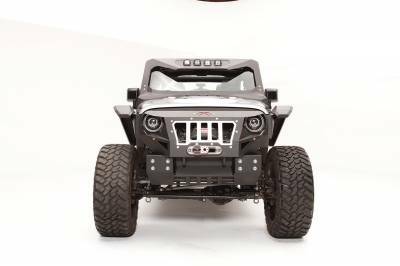 More Than Expected, Better Than Expected is their motto. 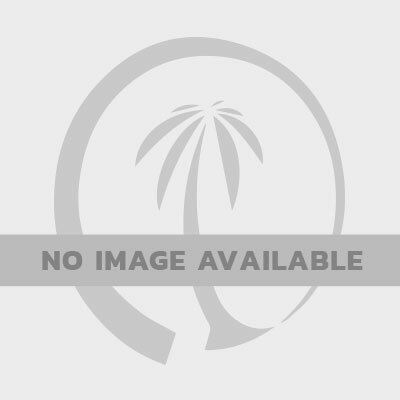 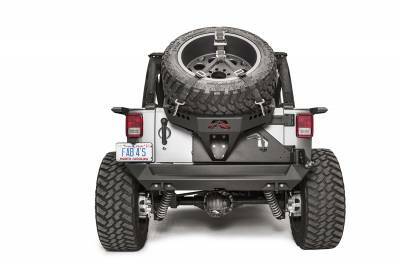 Description: HI-LIFT JACK MOUNT (NEEDS JP-Y1251T-1) Easy bolt on piece that allows for a Hi-Lift jack to be carried on the Fab Fours JK rear bumper. 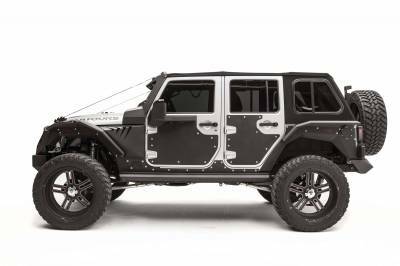 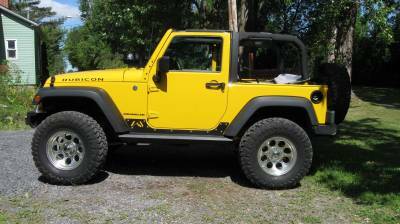 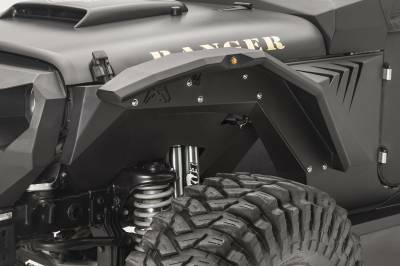 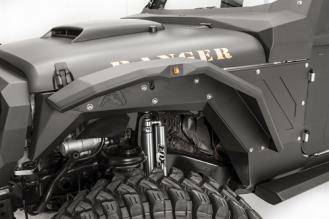 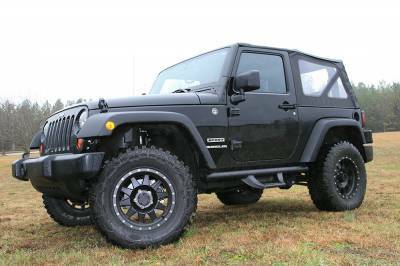 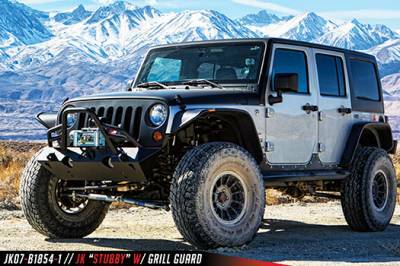 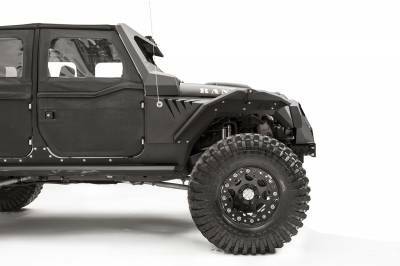 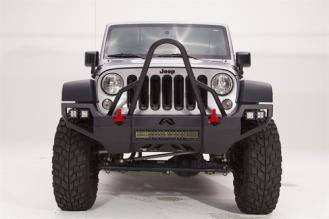 Description: JEEP JK Inner Fender The Fab Fours Front Inner Fender focuses on strength and durability. 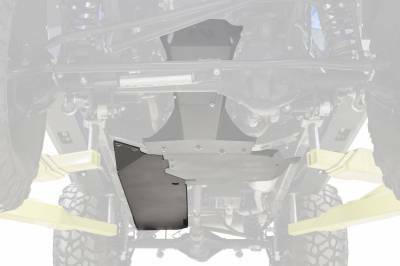 CNC Laser Cut, precision brake formed and 100% 16 gauge steel construction. 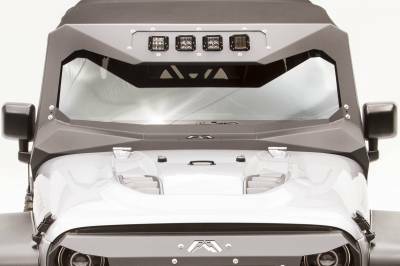 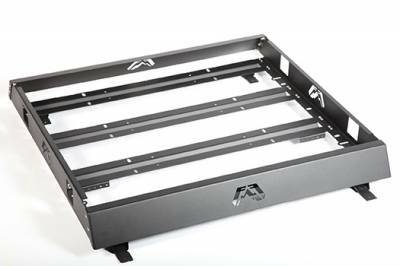 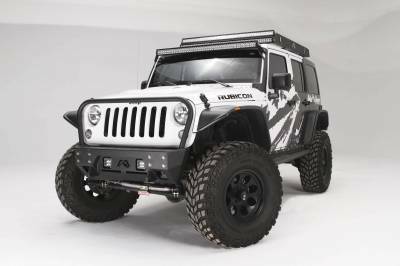 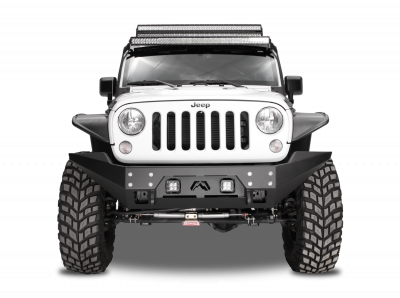 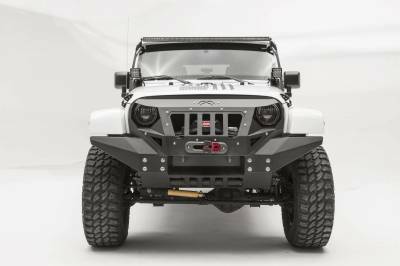 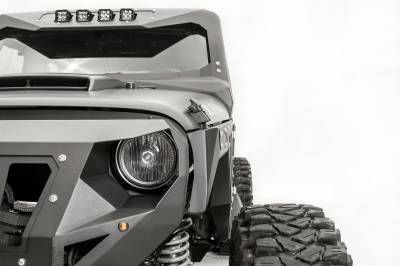 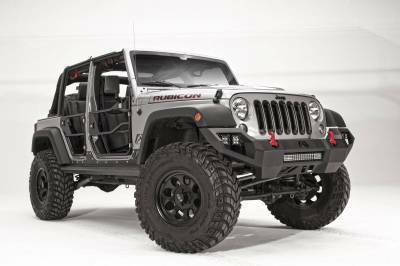 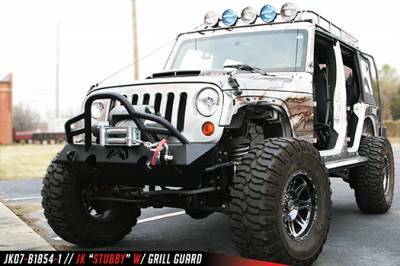 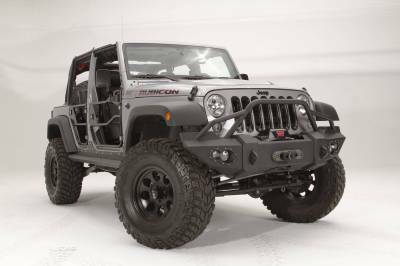 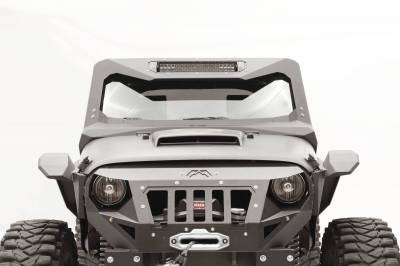 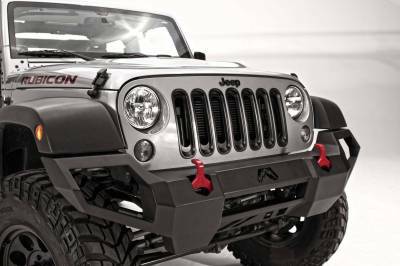 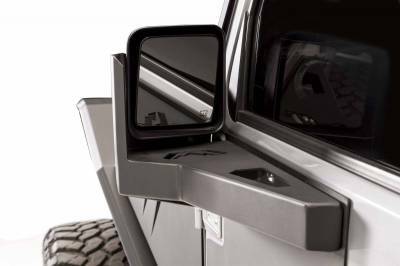 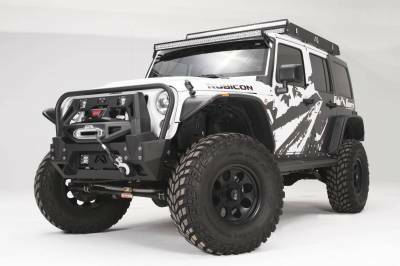 Description: JEEP JK Vicowl 20-Inch Light Bar Insert The 20" light bar mount offers unique styling and lighting options to the Vi-Cowl (JK3020-1). 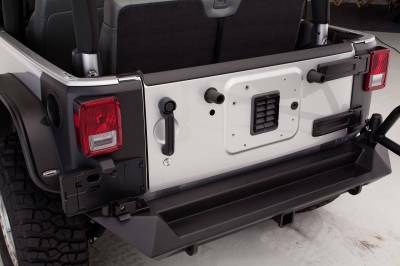 Key features include aggressive design, and simple and quick installation. 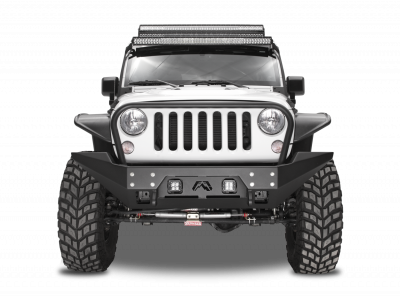 Description: JEEP JK Vicowl 4-Light Insert This Fab Fours ViCowl Light Insert features a matte black finish and allows you to install 4 cube lights to your Fab Fours ViCowl. 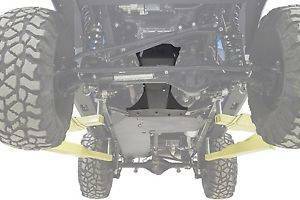 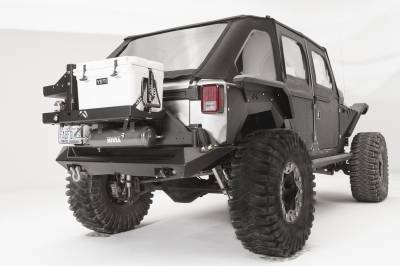 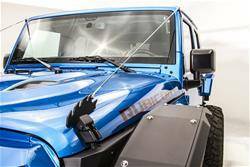 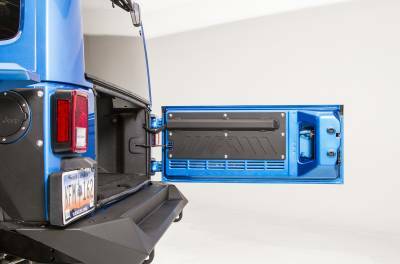 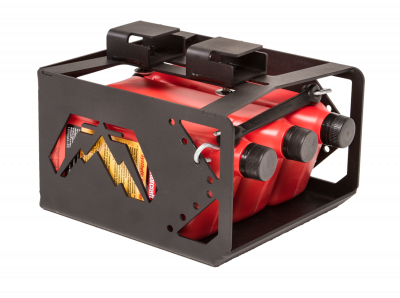 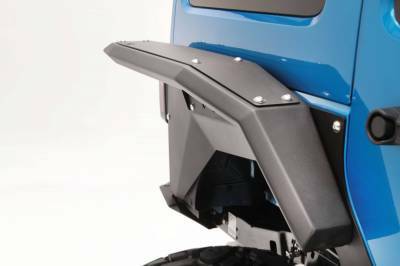 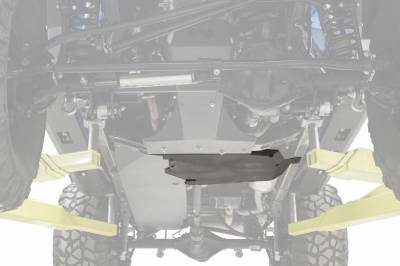 Description: JK HI-LIFT MOUNT (NEEDS JP-Y1261T-1) Easy bolt on piece that allows for a Hi-Lift jack to be carried on the Fab Fours rear bumper. 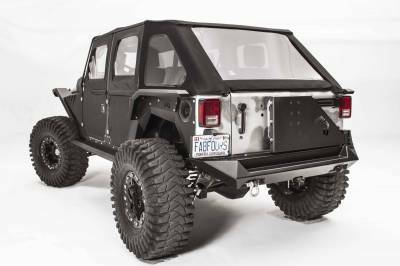 Description: SIDE LIGHT MESH INSERT COVER The Fab Fours' Side Light Mesh Inserts offers unique styling and customization options to the Vengeance Bumper. 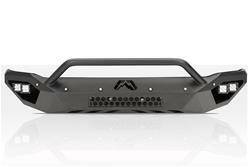 Key features include aggressive design, and ease of installation.